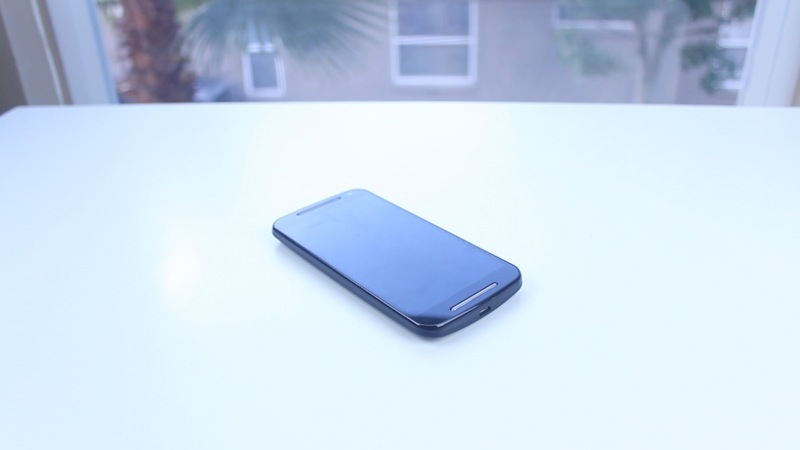 In this article we’ll be doing an unboxing, first impressions, and overview of the new 2014 Motorola Moto g. But before we get started I would like to know if there’s any specific videos you all would like to see on the Moto G. Just a full review, benchmark and gaming performance or comparison videos? Voice your opinions in the comments section down below and I’ll follow up, anyway let’s get started. 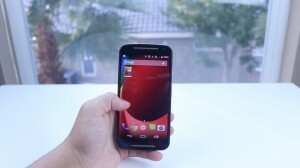 The 2014 Moto G comes in at an impressively low price point of $179 and it’s noticeable from the second you take a look at the cardboard box. 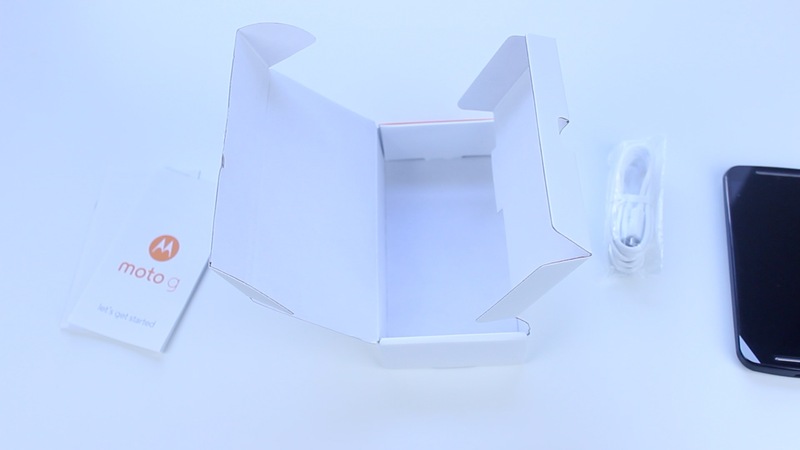 The packaging includes just a sole micro usb cable some little paper work which includes a getting started guide and also some warranty information, and that’s it. However, it all changes when you actually pick the device up and use it. Motorola has updated the new G with a larger display, jumping from 4.5 inches to 5 inches which feels really comfortable in the hand. However unlike the X series, the new Moto G keeps it 720p resolution display, which is sufficient for the five inch screen. The size of the phone is the biggest change you’ll notice when compared to the original version. 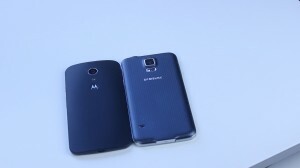 It’s actually 4mms wider and 11mms taller which is a sizeable upgrade. It keeps the same plastic solid design which is necessary to keep the low price. Considering the 2nd Generation Moto G’s low price of only $179 off contract they’ve done an incredible job fitting in the highest end hardware possible. Powering the G is Qualcomm’s Quad core Snapdragon 400 processor, 1GB of RAM, and the Adreno 305 GPU. This is actually completely identical specs compared to the original G, but this updated version should run every smoother as Android becomes better optimized for the hardware. 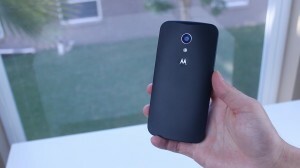 Motorola had outfitted the G with a 2070mAh battery which claims to last a full 24 hours. While I haven’t spent sufficient time with the phone to give an honest opinion on the battery, I would venture to guess it should last through a solid days worth of usage since it doesn’t need to push as many pixels to the 720p display as something like the LG G3 which has a 2k resolution screen. When it comes to actually using the G and real world performance I’ve been having a lot of fun just messing around on it. It’s incredibly smooth and fast for a $179 phone. Playing games like moto racer have it no trouble and the Android 4.4.4 experience has been great. Anyway, that had been unboxing and overview of the new Moto G. I’ll be putting it to the test throughout the week with heavy usage and will be keeping you all updated throughout the process on social media so be sure to follow us on twitter and g+. Also don’t forget to leave a comment and subscribe to my YouTube channel.